In July 2018, Supreme Court judge Pablo Llarena concluded the investigation phase of the sedition and rebellion charges brought against civic and political leaders after the political events in Catalonia in September and October 2017. The investigation sets out the legal basis for the defendants to be prosecuted for rebellion, embezzlement and disobedience, crimes which can lead to severe sentences of up to 30 years in prison. The basis for this criminal case is the organisation and holding of a self-determination referendum, and the political declaration -without any practical effects- of the independence of Catalonia by the Catalan Parliament. 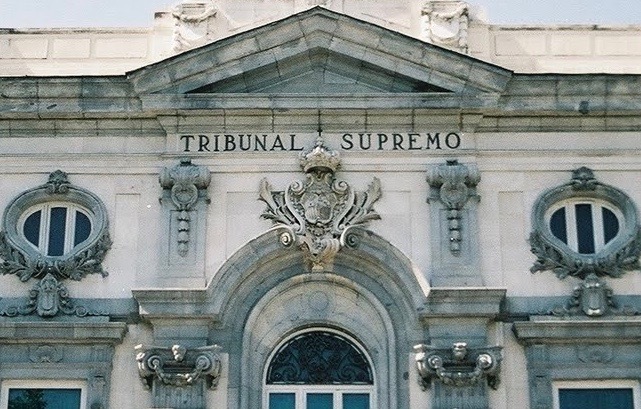 The investigating judge has constructed an inflamed and improbable narrative based on non-existent violence and, moreover, on unreliable information from the Civil Guard (Spanish armed police), full of errors and imprecisions but sufficient to be used to put the defendants into preventive custody and suspend their political rights. The only violence on record during these days was that of the brutal police charges against those who went peacefully to vote on October. The Schleswig-Holstein (Germany) court judgment to surrender former Catalan president Carles Puigdemont only on grounds of embezzlement, and not rebellion, is evidence of the lack of a legal basis for Llarena’s criminal charges. The judge refused to accept Puigdemont’s extradition and, in anticipation of further reversals, has also withdrawn the other European arrest warrants issued against former Catalan ministers in Belgium and Scotland and the political leader Marta Rovira in Switzerland. As soon as the judicial investigation closed, judge Llarena declared Carles Puigdemont and all other exiles in absentia, even though the international arrest warrants had been revoked. He also suspended them from public office, except for one: that of Member of the Catalan Parliament, granted to them by the free suffrage of Catalans in the recent elections of 21 December 2017. To enforce this suspension from office the judge invoked article 384 bis of the Criminal Prosecution Law which states that those being investigated for terrorist offences lose their public office after the investigation is closed and preventive custody is ruled. In so doing he equates the holding of a self-determination referendum with terrorist activities. This arbitrary and disproportionate action has created a serious conflict with the Parliament of Catalonia, whose regulations lay down that the suspension of an MP requires the agreement of a plenary session and the approval of the absolute majority. Judge Llarena’s investigation has been totally irregular and has violated several fundamental rights. This has been denounced repeatedly both by the defendants and their lawyers. In the first place, the competent body to try this case is the High Court of Catalonia, not the Supreme Court. The reason for transferring the case from Barcelona to Madrid was to have it tried by judges nominated by politicians. Appointments to the high-ranking positions in the Spanish judiciary are based on criteria of political affiliation rather than merit or legal competence. This has especially been the case in recent years under the government of the Partido Popular (PP). In Spain over 900 PP party members holding political office are currently being investigated on corruption charges. Many of them are being tried, and others will be in the future, by the courts whose judges owe their position to this very party. In addition, the fact that the massive trial for the events of 1 October is being held in the Supreme Court means that the judgement will be definitive, with no option of appealing to a higher instance inside Spain. Another of the violated fundamental rights is the right to an impartial judge. Judge Llarena has repeatedly shown, both in his rulings -where he has referred to himself as a victim of the alleged crimes he is investigating- and in public appearances, his emotional and ideological leanings, which are directly opposed to the defendants’ political project. Furthermore, all the investigating judge’s irregularities have been systematically endorsed by the chamber of the Supreme Court. The lack of independence of judicial power in Spain is acute. The Council of Europe has denounced this grave flaw of the Spanish rule of law on several occasions. The Group of States against Corruption (GRECO), a Council of Europe monitoring body, in its latest Interim Compliance Report (Fourth Evaluation Round) of January 2018, denounced Spain for continuing to ignore the recommendations that the organisation made in December 2013 in this regard. The defendants have objected to the lack of impartiality of five of the judges of the court that is soon to try them. Vicente Magro Servet, the Supreme Court judge who has to decide whether to uphold these objections, is a former senator who has had a political career inside the PP. The Catalan political prisoners will not have a fair trial, nor will there be any guarantees. This was also the case during the preliminary investigation. In fact, many believe that the judgment has already been decided. It will be a definitive sentence with no right of appeal. The only possible justice will eventually come from the European courts. That will happen many years from now, because the Constitutional Court will put off as long as possible any ruling in order, to delay the case from reaching the European Court of Human Rights in Strasbourg. Meanwhile, nine people are still locked up in prison, unjustly, for their political ideas. Among them are Jordi Cuixart and Jordi Sànchez, private citizens who represent grassroots organisations, and who have been in preventive custody since 16 October 2017. Yes, this is happening in the kingdom of Spain in the 21st century, more than forty years after Franco’s death. It is morally and politically shameful, not only for the Catalans, but also for Europe as a whole.